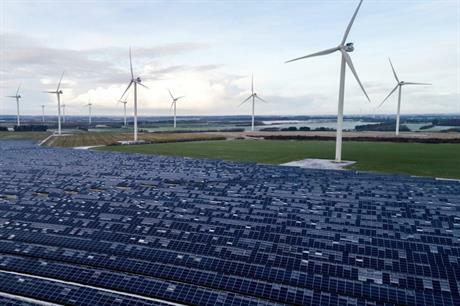 Vestas will acquire a minority stake in German wind and solar PV developer Sowitec in an attempt to improve its offering of hybrid power plants and in "strategic markets" in Latin America. The manufacturer is expected to finalise the deal for a 25.1% stake in Sowitec in Q2 2019, subject to regulatory approval, and will have the option to acquire the entire company within three years. Sowitec has more than 2.6GW of wind and solar PV projects installed worldwide. Announcing the acquisition, Vestas said the deal would strengthen its "offering within hybrid power plants solutions". It also described hybrids as a "key part of Vestas’ objective to develop sustainable energy solutions with wind at their core". "With the acquisition of Sowitec, Vestas gains access to an independent development entity that strengthens our co-development portfolio and improves our solutions and capabilities in strategic markets in Latin America," said Juan Araluce, Vestas’ chief sales officer. It will have no significant impact on Vestas’ 2019 earnings, the manufacturer stated. On a stand-alone basis, Sowitec is expected to report consolidated revenues of approximately €30 million for 2018, Vestas added.